Offering half days, extended days, or full days to children between the ages of 2.9 and 5. 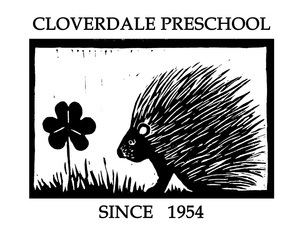 Cloverdale is a parent cooperative preschool that has been in existence since 1954. Its philosophy has remained unchanged throughout the years. In the true sense of the word cooperative, teachers and parents work closely together to provide children a meaningful blend of experiences to peak their innate curiosity, therefore imparting a lifetime love of learning. Cloverdale Preschool is dedicated to providing a nurturing environment, rich in enjoyable, sensory-based experiences that promote confidence through exploration, questioning, reasoning, predicting, and creating. Children are actively supported as they negotiate and celebrate their similarities and differences within a curriculum designed to emphasize social responsibility within their world.